Once you preview your effect, you may want to adjust it. By default, as soon as you modify a parameter, Harmony will recalculate the preview image. 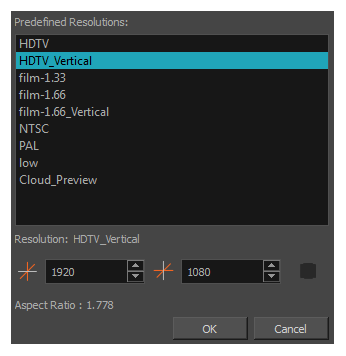 If your scene is heavy and you do not want the preview rendered automatically, deselect the Auto-Render option and do the preview update manually. You cannot play back your animation in Render mode. You must perform a render or a preview render to see your animation with the final effects. Effects must be calculated before they can be viewed in real time. To make your previews calculate faster, you may want to render them at a smaller resolution. You can use the Preview Resolution command so you will not have to modify the resolution of your scene every time you make a check preview. In the Camera view status bar, click the Render Mode button. In the bottom-right corner of the Camera view, the progress bar indicates the status of the render. Depending on the size of the frame to render, it may take several seconds. In the Camera view status bar, click the Auto-Render button. In the top menu, you can enable and disable Scene > Render > Auto-Render. Once the Auto-Render option is disabled, you must request the preview update by clicking the Auto-Render button. In the Camera view status bar, click the Render button. NOTE: While previewing effects, you can press the Spacebar to stop and start playback.